Memorial services are scheduled for 10 a.m. Saturday, Jan. 21, at Faith Baptist Church for Judith Ann McDaniel of Artesia. McDaniel, 76, passed away Thursday, Jan. 12, 2017, at her home. Mike Duff will officiate at the services. Cremation has taken place under the direction of Terpening & Son Mortuary. Judith was born Oct. 29, 1940, in Benton, Ark., to Morris William and Lucille (Tatum) Rommel. On April 26, 1969, she married C.C. McDaniel in Blum, Texas. Judith moved to Artesia in 2004 from Texas to be closer to her grandchildren. 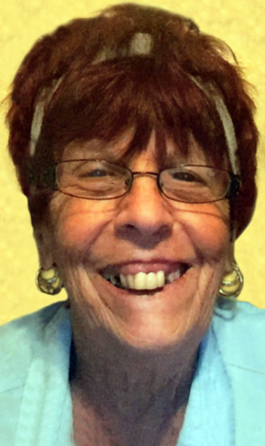 She worked at Bealls as a sales clerk and was a member of the Moose Lodge. She enjoyed sewing, quilting, cross-stitching, and taking care of her plants. Her love was being a grandma and spending time with all of her grandchildren. Survivors include daughter Tammy Rowland of the family home; brothers John Rommel of Clarksville, Ark., and Bill Rommel of Blum; grandchildren Kelsey Lynchesky of Dry Pong, La., and Shane Lynchesky and Victoria Lynchesky, both of Artesia; and great-grandsons Michael and Ryan Thompson. She was preceded in death by her husband, C.C. McDaniel, in 1992; her parents; and son Michael Lynchesky.